AKIPRESS.COM - On September 8, 1999, just a few weeks after promoting the head of the country's top intelligence agency to the post of prime minister, Russian President Boris Yeltsin took a phone call from a world leader with whom he had developed an unusually close relationship: U.S. President Bill Clinton. The new prime minister was largely unknown, having only risen to the top of the Federal Security Service a year earlier. 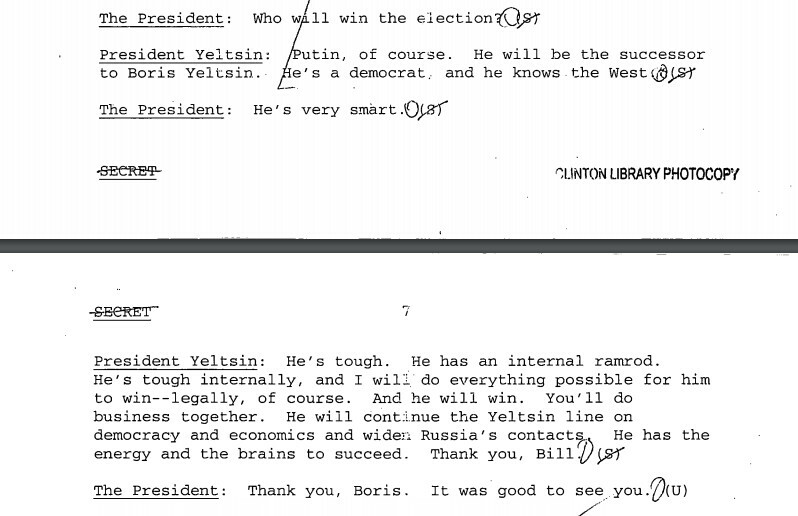 Yeltsin wanted to reassure Clinton that this rising star -- Vladimir Putin-- was a "solid man," RFE/RL reports. 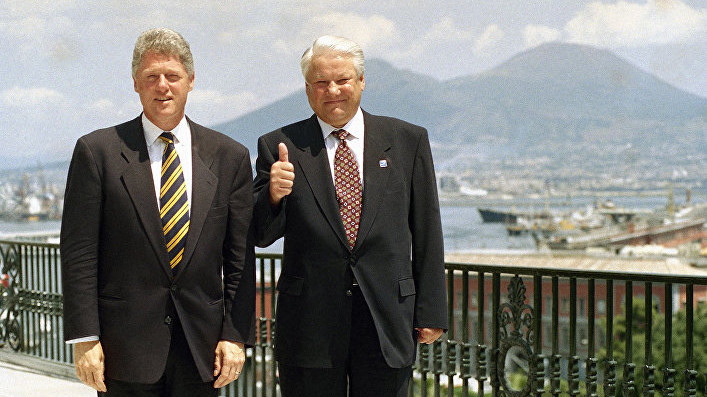 "I would like to tell you about him so you will know what kind of man he is," Yeltsin told Clinton. "I found out he is a solid man who is kept well abreast of various subjects under his purview. At the same time, he is thorough and strong, very sociable. And he can easily have good relations and contact with people who are his partners. I am sure you will find him to be a highly qualified partner," he told Clinton. At a face-to-face meeting two months later, in Istanbul, Clinton returned to the subject of Putin, and Yeltsin made it very clear who he thought would win the election that was scheduled for March 2000. "Putin, of course. He will be the successor to Boris Yeltsin. He's a democrat, and he knows the West," Yeltsin said, speaking of himself in the third person. Yeltsin went on to resign the next month on New Year's Eve. Putin won the March election, on his way to becoming Russia's preeminent leader, and the longest serving leader of the country since Josef Stalin. The transcript of the conversation between Yeltsin and Clinton was included in hundreds of pages of memos and other documents quietly published online last month by Clinton's official Presidential Library, in Little Rock, Arkansas. The declassified documents don't provide major new revelations into the dynamics between the two countries' relations after the 1991 Soviet collapse. But they do offer a window into a famously chummy relationship that was dubbed "Bill and Boris" by many observers at the time.